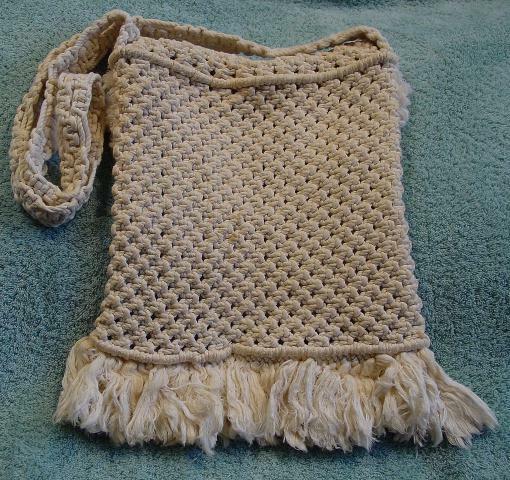 This cream color cotton weave purse has a thick 3" long bottom fringe. 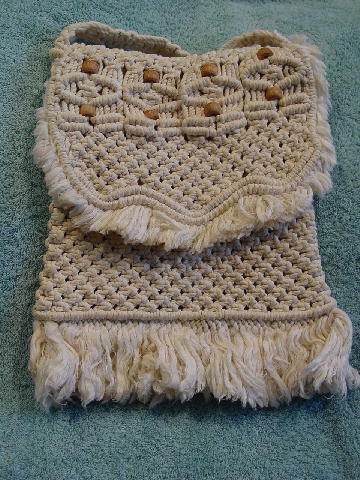 It has a flap closure with a 1" fringe and eight natural color wood beads. There are a few age spots on the back. It has a 41" long shoulder strap.